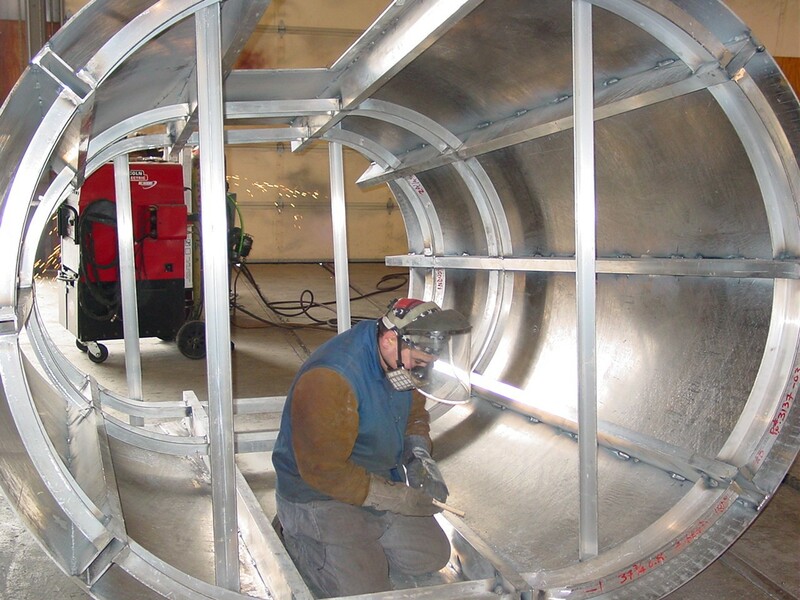 Stack section positioned on power rollers for welding processes. 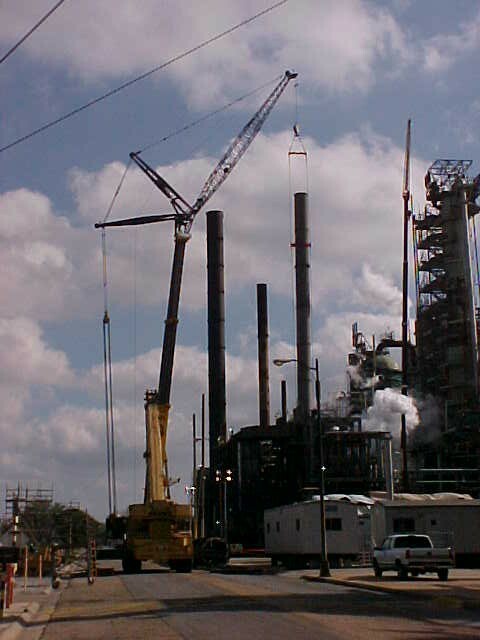 Shop installation of stack platform to assure proper fittment in field. This is standard procedure on all our stacks. Stack Stack assemblies being erected. 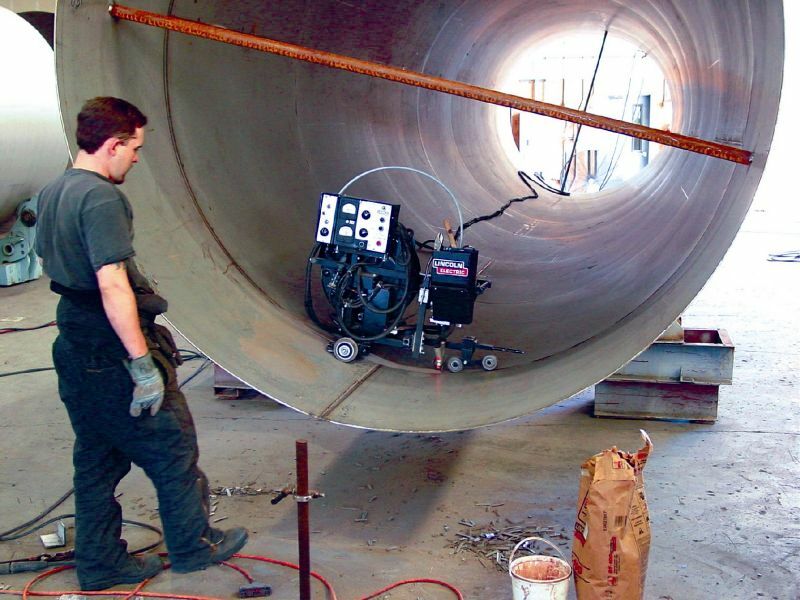 Stainless steel stack section being welded using the submerged arc method. 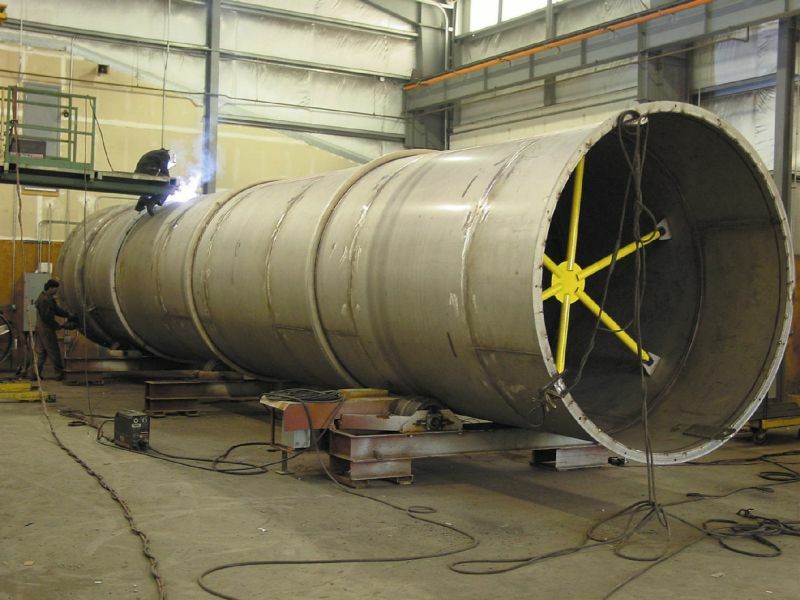 Stainless steel stack section positioned on power rollers for ring fittment and welding showing temporary shipping braces to maintain shape during shipment. Bottom view of cone assembly on stainless steel stack section. 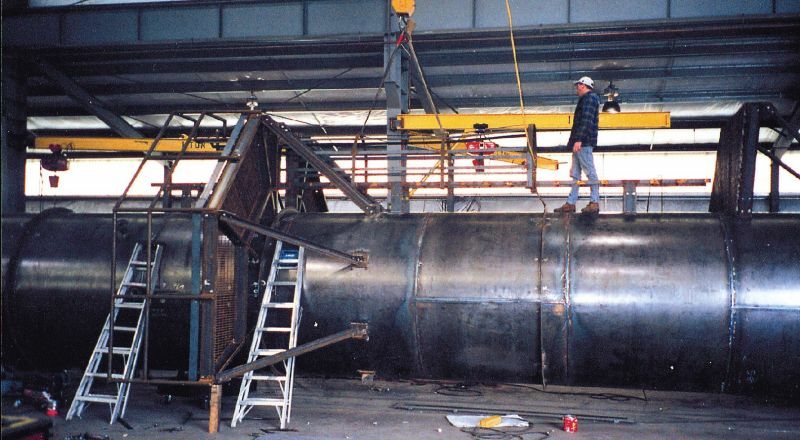 Erected stack section which was shipped in one piece 120' tall. 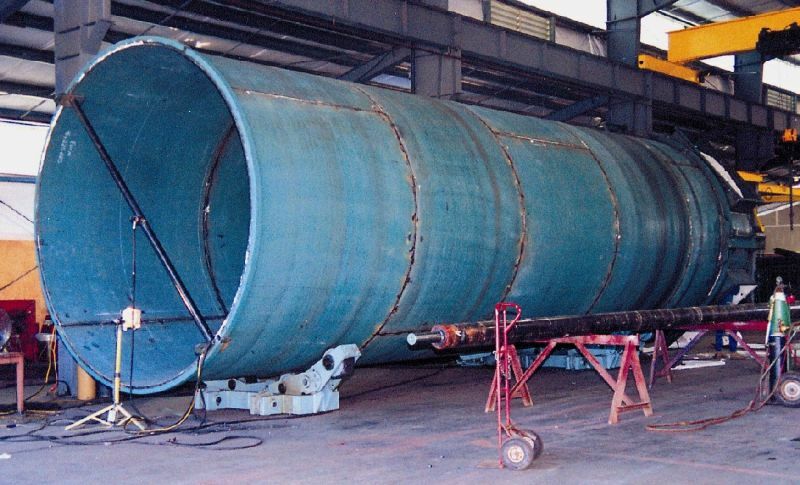 120' Long stack section being shipped in one piece on steer car trailer. 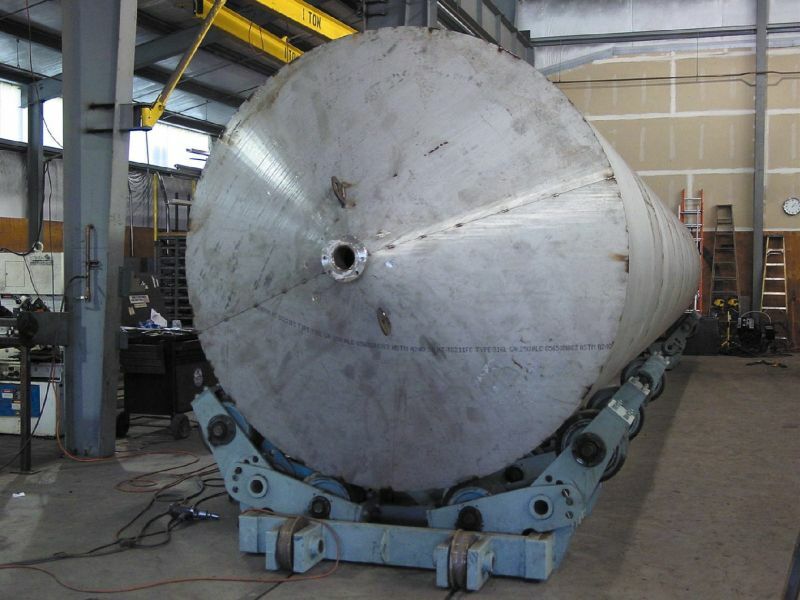 14' - 8" Diameter stack section being shipped with trailer through the stack section to allow shipment in one piece. Aluminum ship stack housing which encloses two small exhaust stacks.